Children look forward to summer all year long because they get to partake in fun activities with their friends and swim at the pool instead of sitting in a classroom all day. Summer in Texas means extreme heat, an abundance of ice cream and plenty of pool parties to cool off and get bronze. Pool parties are a great excuse to detach our children from their video games and social media accounts and get them outside to enjoy each other’s company. Are you worried about your child getting head lice from a friend at a pool party? Here are some things you should know about lice and the pool. Lice don’t really swim, but when attached to the hair underwater, they can breathe for several hours. So, if you thought that drowning lice in the pool would kill them, sadly, you were wrong. But wait what about chlorine? Nope, that won’t kill them either. They can survive in chlorine as well. Head lice can even survive in pyrethroids, the live ingredient in drugstore lice treatments. Lice are more resistant and strong in this generation than ever before. So, while they don’t swim around the pool, they will survive on the head while in the pool. The good news is that contracting lice from someone in a pool is very unlikely. Like we said before, lice can’t swim so they are most-likely going to be clung to the head and not budge. The pool is not the place to worry about your child getting head lice. But remember: chlorine-filled water is also not a form of lice treatment. It will not suffocate the lice. While we don’t want you to worry about your child getting lice in the pool, we do suggest being aware of how they might contract lice outside of the pool. Lice could be spread through sharing beach towels, combs or other accessories. We suggest that children use their own items and keep them in a bag or backpack away from everyone else’s things. This is a simple way to keep lice from spreading through your items. Sharing might be caring, but when it comes to head lice, it isn’t worth it. We hope you’re looking forward to summer as much as we are. Remember to bring your own towel to your pool parties! Have a good summer! Why are head lice so hard to get rid of these days? According to the CDC, 6-12 million kids get head lice per year and in this day and age, it’s actually closer to the 12 million mark. Here are 4 reasons why head lice infestations have increased over the last few years. Super lice now overrun 42 out of 48 states tested, according to a yahoo article. Super lice are lice that have mutated and evolved over time to become resistant to strong chemicals that are designed to kill them Head lice are now more difficult than ever to get rid of. Unfortunately, most commonly used OTC lice treatments that you’d find at a drugstore are a waste of money because of super lice. 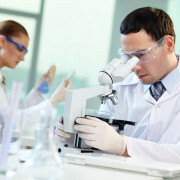 They once worked, but now because of the evolution of super lice, most are not successful at killing lice. A 2016 report found that most lice in 42 states have mutated to be resistant to pyrethroids, which are insecticides used in over-the-counter lice treatments. Many medical professionals still recommend these products because of a lack of knowledge and understanding about super lice. This Generation Of Children Are More Close-Knit. It seems as if kids are more prone to close-knit relationships nowadays. Since lice are spread through head-to-head contact, this increases the chances of an infestation spreading. Kids these days are huggers, clothing and accessory sharers and selfie takers. Kids often get close to one another to take pictures, creating an optimal lice-spreading scenario. We advise against an internet search when trying to figure out how to get rid of head lice at home. You’ll probably find a list of things that people claim work including mayonnaise, tea tree oil, petroleum jelly, Listerine or olive oil. These are ineffective at best and harmful at worst and that is backed by the CDC. 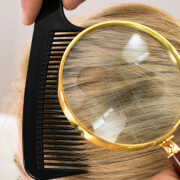 These treatments can cause harmful effects, lead to food poisoning or suffocation and even might make the lice infestation worse. These products are meant to suffocate lice, which may indeed kill live lice. But eggs (nits) are the real problem, and eggs can’t be suffocated because they don’t breathe. The eggs will hatch, and you’ll have a fresh infestation on your hands. This may send you into a state of panic but don’t worry, we have a treatment that works and we would like to spread the word about it to all parents. Our AirAllé® device kills lice through dehydration, using controlled heated air. It’s FDA-cleared and proven to work. Want to know more? Give us a call. Little Timmy was so excited to go to the zoo. He had never been on a class field trip before and was happy that his first one would consist of giraffes and gorillas. He knew exactly which outfit he would wear and already had his sack lunch packed and ready to go. Nothing would stop him from going to the zoo for the first time, not even an itchy head. 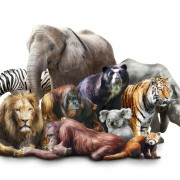 Yepp, that’s right, Timmy got head lice and didn’t tell his parents so he wound up giving it to his freinds and contributing to a head lice outbreak at the zoo. There were plenty of opportunities for those lice to spread as kids gathered close together to take pictures. Luckily, Timmy’s parents had talked to school’s officials about head lice procedures at the beginning of the semester so they knew exactly how it would be handled, which is something we recommend for all parents with school-aged children. We recommend all parents to talk to their child’s school officials about head lice procedures at the beginning of the year before a head lice outbreak occurs. Nobody is in a state of crisis; everyone is calm and the real stress hasn’t hit yet. It’s helpful to know the processes and procedures in place for a head lice outbreak. Do they have a no nit policy? Are kids allowed to come to school if they knowingly have lice? These are some questions to ask. According to the Centers for Disease Control and Prevention (CDC), “Students diagnosed with live head lice do not need to be sent home early from school; they can go home at the end of the day, be treated, and return to class after appropriate treatment has begun. Nits may persist after treatment, but successful treatment should kill crawling lice.” That being said, it is important to know the school’s opinion on a head lice outbreak as well. If you’re the one who finds lice on your child’s head, contact the school nurse to let them know. If another child had a head lice outbreak, you’d want to know about it, right? This allows the school to let parents know to check their child for lice. Letting school officials know will help the head lice outbreak be as mild as possible. The CDC states that “Both the American Academy of Pediatrics (AAP) and the National Association of School Nurses (NASN) advocate that “no-nit” policies should be discontinued.” One of the biggest reasons they believe this is because “The burden of unnecessary absenteeism to the students, families, and communities far outweighs the risks associated with head lice.” We can all find comfort in the fact that head lice are not dangerous. They are also extremely common. If the school calls you to inform you that your child may have head lice, don’t get offended or embarrassed or get angry with whoever called you. School leaders are just doing their job and most of the time, they will help you in the process. You may not have ever dealt with lice before, but they have many times. Listen to their counsel and work with them, not against them. Lastly, if you’re in need of head lice treatment and safety is important to you, we have head lice treatments that won’t expose your child to harmful chemicals or pesticides. Give us a call to book an appointment. We do everything we can to protect our children. But you may be surprised at the ingredients used for lice treatment throughout the world. Benzyl alcohol has been reported to cause skin and irritation. Lindane (Kwell) and Malathion are extremely toxic to the human nervous system and have even led to death. Tea tree oil has been reported to cause breast growth in boys and early breast growth in girls as early on as 4 or 5 years old. These are all substances found in common lice treatments used on children – in our country. Shocking, right? When you examine what is in these products, it’s pretty scary. A pyrethroid is an organic compound similar to the natural pyrethrins produced by the flowers of pyrethrums. Pyrethroids now constitute the majority of commercial household insecticides. Yes, the same chemical used to spray and kill insects in or outside of your home are present in many lice treatments to kill bugs on your child’s head. That’s a little concerning. How Did They Test This? Researchers began by measuring levels of five pyrethroid metabolites in the urine of women in the early stages of pregnancy, and later, in their 6-year-olds to see if there was a link between being exposed to the chemical in utero and childhood, and behavior that could suggest neurodevelopmental damage. About 600 women filled out a questionnaire about socioeconomic factors, lifestyle, their child’s behavior, and various things their child had been exposed to. Psychologists also did behavioral assessments on the children, along with taking urine and dust samples. There was then a behavioral test conducted on the children by using a Strengths and Difficulties Questionnaire, which is a validated behavioral screening test for children, with a focus on altruism (how social they are), internalizing disorders (the inability to share problems and asking for help), and externalizing disorders (being defiant and disruptive). After conducting long-term research, they concluded that mothers with higher levels of cis-DCCA in their urine during pregnancy were more likely to have children with a higher risk of internalizing behaviors. Higher levels of another metabolite, 3-PBA, in the children’s urine was linked with a higher risk of externalizing behaviors. Overall, children with the highest level of metabolites in their urine were three times more likely to have abnormal behavior than those with lower levels. As a result, the researchers concluded that pyrethroids might alter neurochemical signaling in the brain. To reiterate, many common drugstore lice treatments contain this very chemical that has been shown to cause neurological damage, resulting in behavioral abnormalities in children. This study will send chills up any parent’s spine. But the good news is you don’t have to use a lice treatment that has detrimental effects on your child. We are proud to say that our approach not only works in just one treatment, but it also doesn’t use any pesticides. At Lice Clinics of America, we use a revolutionary FDA-cleared device, which kills head lice and nits using only controlled, heated air. Now you no longer have to risk using a horrible chemical with possible lasting negative effects. Now, you can call us to get rid of the lice problem and keep your family safe. Head lice are dreadful little parasitic bugs that make us want to pull our hair out sometimes. Well, don’t pull your hair out! We’ve got your back when it comes to head lice removal. Our clinics have the best head lice treatment on the market. One of our biggest goals as the leading lice clinic in Texas is to keep lice out of your home. We recently made an appearance on KVUE- TV, Austin, to answer a few questions and talk about our famous lice removal product. We were chosen to be interviewed because of our unique and revolutionary AirAllé® treatment, which has led to great success when it comes to lice removal efficacy. Our clinic has an impressive track record because of this newly-invented device, used by the Lice Clinics of America network. Estimates show that 6-12 million lice infestations happen each year, making our work valuable for many mothers and fathers. As parents, we started this business to be a resource to other parents. We know how precious your children are to you, and we treat each child as if they were our own. It’s true that lice have nothing to do with hygiene or cleanliness. Head lice affect children of all kinds, and our hope is to educate you so that head lice won’t be scary when they decide to vacation on your child’s scalp. On KVUE-TV, we mentioned that studies show some chemical-based lice products to have detrimental effects on a child’s brain. Not worth the risk. That’s what instilled our passion to treat lice in a completely safe and chemical-free way. We have been growing our business ever since and have treated over 2,000 people in Texas. Our journey in the lice business continues to be a fulfilling one for us. Click the link below to watch us on KVUE-TV. Thank you in advance for any comments or shares! Children are more vulnerable to toxins than adults because their bodies are still growing. Children tend to drink more liquids, eat more food and breathe more air than the average adult which increases their exposure to toxins. This becomes a difficult decision for parents when they need to decide on a head lice treatment for their kids. When we look at the toxins in our environment, it can be overwhelming for the parent. Let’s talk about a few toxic head lice remedies that can cause more harm than good. Mercury is an aqueous metallic substance that is mined from the earth’s crust. Mercury is commonly found in atmospheric emissions resulting from coal, power plants, cement production, smelting operations, gold mining and various other sources. When you take your child to the dentist and find a cavity, dentists will fill the cavity with mercury. There’s a chance that the mercury might slowly leach into your child’s body, and can cause long-term neurological damage, harm to peripheral vision, skin rashes and limit one’s ability to talk, hear or walk properly. Of course, these are extreme circumstances but it does happen! Children are particularly vulnerable to toxins as their development can be compromised and permanent damage can occur. Mercury-containing head lice treatments are on the long list of toxic head lice remedies. Be weary, check ingredients and always put your child’s safety first. Lead is a natural toxin that can be found in your backyard soil. Old-fashioned pencils were made with lead until it was discovered that lead contains poison. Lead can be found in manmade products (such as pre-1978 house paint, water pipes and solder). Lead is a neurotoxin that can compromise blood, brain and nervous systems harming the kidneys, inhibiting cognitive ability and weakness in the extremities. Lead can also be found in everything from pharmaceuticals, lead-acid battery electrodes and radiation shields at the doctor’s office to countless construction and architectural materials, ammunition, imported children’s products, longer-burning candle wicks, polyvinyl chloride plastic (PVC), fishing tackle, decorative glass, artist’s supplies and Christmas lights. We strongly suggest staying away from lead. This toxin is commonly referred to as BPA — a plastic-derived compound. Approximately 90% of Americans carry detectable levels of this estrogen-mimicking menace in their blood, and in addition to the chemical messing with the reproductive system, it is believed to trigger cancer of the breast and prostate, plus hyperactivity in children. You can find BPA in thermal paper grocery store receipts, dental sealants, polycarbonate plastic food packaging, disposable plastic cutlery, water bottles, the linings in metal beverage/food cans, a whole host of children’s products (baby bottles, especially), sunglasses and toxic head lice remedies. Many families seek out “Natural” based herbs and supplements to treat head lice, not knowing that they often still fall under the category with other toxic head lice remedies. We have treated over 200,000 cases of head lice at Lice Clinics of America and many families share their former treatment methods. We sometimes tend to think that if a product is “natural” it is safe and non-toxic for our children. 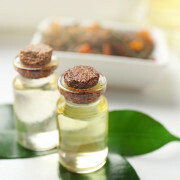 However, new studies suggest that frequently using lotions, shampoos, styling gels and even colognes containing tea tree oils may cause breast growth in boys, also known as gynecomastia, along with breast growth in girls as young as 4 or 5. Tea tree oil contains phytoestrogens, substances that mimic the hormone estrogen. Treating head lice with tea tree oil often requires multiple applications and extreme vigilance to rid your family of head lice. The first step many families take when they first discover head lice is visiting their local pharmacy or health food store. As we have learned today, our children’s small growing bodies are susceptible to toxins. Many head lice treatments contain potentially harmful chemicals and the more you can avoid these toxins, the better! At Lice Clinics of America- Texas, we treat head lice with a science-based heated air technology that is chemical-free and completely safe. We offer safe options as an alternative to the many toxic head lice remedies on the market. Our methods combat head lice safely and effectively without harmful products being absorbed into the body. Rest assured, we have the cure and we back that up with a guarantee that you will leave lice free and toxin free. Why risk putting your child at risk when we’ve got a better option? Head Lice. Not a fun two words. A contagion that every mom dreads because let’s face it — nobody wants to comb bugs and lice eggs out of their child’s hair. Recently, Lice Clinics of America, Texas, was featured on San Antonio Living on NBC. Co-owner, Michelle Sunshine, answered questions about head lice and demonstrated the FDA-cleared AirAllé® device. Click on the picture below to watch. We’d like to delve deeper into super lice because many parents have no idea how regular lice evolved to super lice. We have all heard of head lice. Well now we have to worry about super lice, which look and act the same as regular lice, but are resistant to the pesticides in many over-the-counter treatments and home remedies. That being said, they are not super in a good way. In fact, they should be called horrid head lice. Essentially, super lice are lice that are not easily killed by the pesticides in store-bought treatments. This is a pain for many parents who are unaware of this fact. The evolution into super lice is due to a genetic mutation, which has changed lice into super-resistant bugs that have been found in 42 out of 48 states tested, according to a study by the Journal of Medical Entomology at Oxford University. In the 42 states, 100 percent of head lice tested were resistant to traditional, over-the-counter treatments. Needless to say, it’s a waste of money to buy head lice shampoos at the store such as Rid or Nix. According to the study, in New York, New Jersey, Michigan, Oregon, New Mexico, and North Dakota — some, but not all head lice tested were resistant to over-the-counter treatments. Fortunately, the epidemic hasn’t completely spread to these six states, but we’ll have to revisit this in a few years as it is spreading fast. Alaska and Virginia were not part of the study. This means that 100 percent of the lice tested here in Texas were resistant to over-the-counter head lice treatments that once worked. Buying lice shampoos at the store will be a waste of money and a waste of time. We have some more bad news. Most home remedies for head lice will leave you frustrated and back to square one just like the over-the-counter lice treatments. We’d like to touch upon one of the most popular home remedies of them all: the mayonnaise method. This is when mothers put mayonnaise on their child’s head and plastic wrap the head overnight. The theory is that the head lice will be smothered and dead by morning. Not only does this method force a young child to smell mayonnaise all night and possible get plastic-wrapped mayo and lice all over their face in their sleep, but it has not been medically proven to work. However, the chief reason we advise against this method is because of the most frustrating part of head lice removal: the eggs, or nits. While the mayonnaise might kill the lice if they are suffocated for more than five hours, it probably won’t kill the eggs because eggs don’t have breathing chambers – therefore, they can’t be suffocated. If even one egg is left behind, say hello to another outbreak. How Do We Kill Head Lice? As demonstrated on San Antonio Living, our FDA-cleared AirAllé® device works by dehydrating head lice and 99.2 percent of their nits with controlled, heated air. We follow with a comb-out and topical rinse to kill any remaining lice. Depending on the hair length and infestation level, the whole process takes an average of 60-90 minutes. Kids get head lice sometimes. It is not easy to avoid. But don’t panic if it happens to your child. Do your research, take a deep breath and don’t fall victim to products that are ineffective. Unfortunately, Super Lice are here in Texas, and they are most likely here to stay. 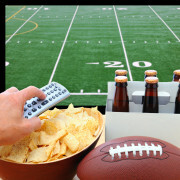 This past weekend, we all enjoyed a legendary Super Bowl. The New England Patriots and Tom Brady played one of the best games in the 50-year history of the game and were crowned NFL champions. Do you have a junior football champion at home that deserves a crown? Make sure the crown wasn’t on the head of someone infested with head lice. School sports encourage our children to share victory, share goodwill and share helmets? Uh Oh! Yes, sharing helmets is one of many ways that children can transmit head lice. As soon as kids start swapping helmets, head lice emerge as a problem. A good precautionary measure is to have your child use their own helmet. After the game, during the team huddle, be careful about bumping heads as well. What are some ways parents can help keep their kids from getting head lice? Education — Explain to your children that head lice are spread from direct contact. They should not share hats, scarves, coats, combs, brushes, towels, sports uniforms, or like we mentioned previously, helmets! More than 12 million children will contract this common contagion each year. Children are often in close contact with each other transmitting the parasite, and it is not a fun thing to deal with. Head lice lay eggs that are hard to see and remove. They are called nits, and they secrete a sticky glue-like substance, which makes them adhere to the hair shaft close to the scalp. The nits are what make treating head lice difficult, as it takes only one nit to hatch and then you will have active head lice. An active head louse will lay 6-10 nits a day which then hatch within 7-10 days. If you get a head lice treatment and even one nit is left behind, say hello to another head lice outbreak starting all over again. What Works For Head Lice Removal? The most effective treatment for both active head lice and their nits is the FDA-Cleared AirAllé® Device. Lice Clinics of America, Texas, uses the revolutionary AirAllé® heated air technology to kill head lice and their eggs. The clinic performs a head check to determine a positive head lice diagnosis and then discusses treatment options. The fastest way to get rid of head lice is to have our trained professionals treat the infected person at one of our clinics. For those families that are budget conscientious, we have topical solutions and treatment combs that can be used and administered in the home. The DIY (do it yourself) treatment options require vigilance and multiple days to rid your family of head lice. The treatment at Lice Clinics of America, Texas, will take approximately 90 minutes and you will be rid of head lice — guaranteed. 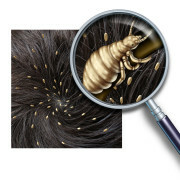 Medical findings state that the AirAllé® kills about 99.2 percent of the lice and their eggs. Then we follow up with a thorough lice combing and rinse to ensure our clients are lice-free. However, if you end up getting it again during the 6-week guarantee, we will treat you for head lice at no additional cost. The full-service AirAllé® treatment is guaranteed, comfortable for kids and is completely safe for all family members. If your little super athlete’s head starts to itch and you suspect head lice, call our clinic for an appointment and we’ll take care of the problem once and for all! To announce our new Lice Clinics of America location in San Antonio, we are celebrating with a Holiday Open House Party on Saturday, Dec. 17 from 1-3pm. We will enjoy refreshments, Christmas music and cookies, free head checks, and a visit from Santa himself. 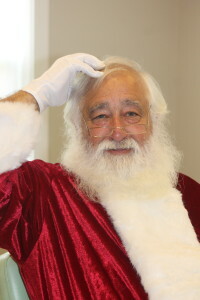 (Yes, even Santa can get lice!) Each family who joins us will also receive a 50% off coupon to be used on a future lice treatment. Please join us at Lice Clinics of America on Saturday, Dec. 17, from 1-3pm at 13457 Blanco Road in San Antonio, TX 78216. We look forward to celebrating the holidays with you! Lice Clinics of America has the only FDA-cleared dehydration device that is not only safe for ages 4 and up, but is over 99% effective in one visit. Our patented heated-air technology was developed by scientists at the University of Utah, and has been used in over 220,000 successful and safe lice treatments on families across the globe. Customers should know FDA-clearance is extremely important when selecting a lice treatment for your family. This process of rigorous testing confirms the safety of our device and provides proof of the efficacy of the Lice Clinics of America approach. We have been informed there is a company in our area using a modified pet dryer to “dehydrate” lice on children. This device has no safety standards nor proof of its effectiveness. In fact, the pet dryer manufacturer has warned customers that it is not intended for human use and should be kept away from children. The local business illegally using the pet device is making false claims on its effectiveness without any studies or proof. We at Lice Clinics of America do not want to be confused with or associated with any business that makes these claims and is not using the FDA-cleared AirAlle device. Our customers can be confident that we maintain and follow the highest standards to keep your family safe and lice-free. Please share with your friends on Facebook so they know to look for the FDA-cleared designation when booking a lice treatment.